Workers at National Public Radio could strike, as employees that the SAF-AFTRA union represents remain in a deadlock during their latest negotiations over a contract. Unionized employees at NPR have been working with expired contract terms and their stop gap agreement will expire Friday night at midnight. A spokesperson said last Friday from the union that negotiators were at that table the entire day and have optimism that a deal can be reached. However, the same spokesperson said that workers were prepared to strike. 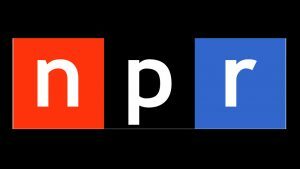 The bargaining team for NPR voted unanimously on Friday to seek strike authorization from the national board of the union, which they will do over the weekend if an agreement is not reached during the talks. Workers argue that the contract recommendation by the NPR seeks to tear apart the fundamental workplace benefits and right. One big problem the workers have is a proposal by NPR to pay new employees less than veteran workers and reporters, which has not been received well by members of the union. The union said a two-tier pay system is not something it wants for workers who are doing the same work. The union continued by saying that unequal pay, less contract protections and diminished benefit, sabotages efforts in recruitment. A number of notable radio personalities and journalists signed a letter that pleaded with Jarl Mohn the CEO at NPR to intervene. NPR in a prepared statement said that talks were productive and that management must consider the economic future of NPR during these types of negotiations. The goal, said the NPR statement was to make the organization economically sustainable over the long-term, and enable NPR to have the ability to invest more of its resources into expanding its audiences, innovating multi-platform journalism and adding more newsroom staff in order to meet that growth and to support the current staff. However, the workers say the benefits they have are threatened even as they helped the NPR brand reach new heights. NPR is a non-profit that had over 980 member stations around the country. As well as having its radio audience, NPR is a distributor of podcasts that includes Invisibilia, How I Built This and Planet Money.